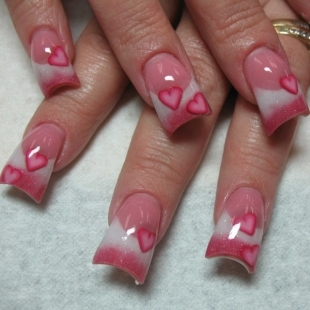 VALENTINE’S DAY NAIL DESIGNS – Which nail design suggestion do you prefer? 14 February- it’s Valentine’s Day! Did you succeed in preparing for Valentine’s Day? If you are still looking for a nice surprizing you might consider to surprize your love with a nice warm hand massage… or a beautiful nail design! For many people goes the preperation for Valentine’s Day way beyond selecting a perfect gift present. 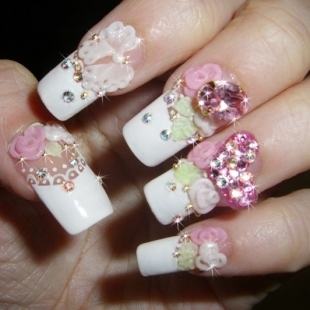 Let’s take a look at some spectacular nail designs, because for many women the tips of the fingernails are absolutely essential. Check out a few of these nail designs, and if it’s too later for this year… how about next year? Surprising your soul-mate with a new look for Valentine’s day is undoubtedly one of the smartest choices you can make. Looking spectacular requires paying attention the smallest details as well as selecting elements that highlight your personality while also being appropriate for this special occasion. Choosing the right nail design is perhaps the simplest and most versatile changes you can do so make sure to schedule your pampering session wisely and browse through the great variety of nail designs available to pick your favorites. Without a doubt femininity and romance are the main elements that add interest to the nail designs inspired by the romantic holiday. 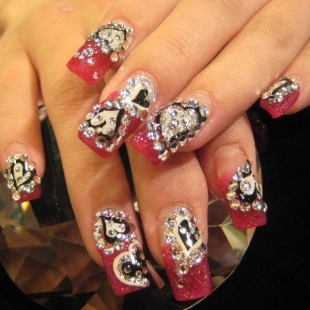 The great variety of motifs that can be used to create an eye catching nail design tend to be an excellent starting point. 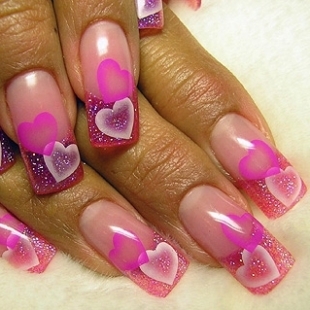 Hearts are probably the most popular nail art motif used due to the fact that they are relatively easy to create and reflect the spirit of the holiday with ease. 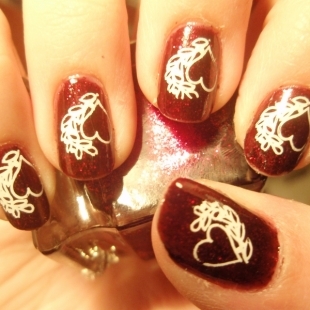 However, other symbols such as roses, arrows or Cupid angel can also be used by those who are skilled when it comes to nail art and have enough patience to do so. As far as the color palette that is generally used for this occasion the options are relatively clear. Soft pinks and seductive red shades are the most popular colors for the occasion however white and golden accents can also be used to create a more festive and elegant look. Glitter can also be used if a more spectacular effect is desired. Always keep discreet and simple, or on the contrary bold and flashy the nail designs must be perfectly designed to match the occasion. Because the designs tend to be relatively hard to recreate at home, having your manicure done by a professional nail technician is probably the best alternative you can try. If you select this option taking a few photos with you is recommended as it might increase your chances of getting a superbly done manicure that matches your vision down to the smallest detail. NAIL ART – Making nails beautiful! I just had a question about your website, yourfingernails.wordpress.com , and found it fun and interesting! If you could e-mail me back, I would love to talk with you.